Before buying a rug, it is a good practice to measure out the area where the rug will be placed to make sure you have the right size. By using tape on the floor to measure the rug is a good idea. Make sure before buying rug that the furniture legs to be on the rug or off the rug. Similarly, when buying a rug for a dining room, ensure that the rug should be wide and long enough so that the legs of the dining chairs are not half on and half off the rug, else you cannot have perfect balance of the chairs. Range of patterns in rugs like geometric pattern, floral pattern or a combination of the two? Higher knot count rugs have better weaves. Usually the higher knot count rugs will have superior detail in the design and more definition in the pattern - similar to a high resolution LED having greater clarity. Due to something special in these rugs appearance, they are more expensive. Some types of designs though do not require a high knot count - rugs with simpler designs for instance and geometric-patterned rugs in general. The best handmade rugs have piles mainly composed of wool, silk, or a mixture of the two. The base of the rug can be either cotton, wool, or silk. Normally, wool pile rugs are easier to maintain. Spillage on wool rugs for example is less of a concern compared to silk rugs. Cotton: Cotton forms the foundation of warps and wefts of the majority of modern rugs. Nomads who cannot afford to buy cotton on the market use wool for warps and wefts, which are also traditionally made of wool in areas where cotton was not a local product. You can also see collection of cotton rugs here. Dyes are a very important part of the quality of a rug. There is a rich ongoing debate about the use of synthetic VS natural dyes. Rugs with natural dyes tend to be more muted and have abrash - a natural variation in the shade of the same colour. They arguably age better over the very long term in terms of how a rug fades. On the other hand, synthetic dyes are longer-lasting and tend to be more vibrant and richer in colour, as well as more uniform. Since the early 1900s, synthetic dyes have been of a very high quality when correctly formulated and applied to the wool. Most handmade rugs today use synthetic dyes. However, natural dyes are still in use. Most Persian and modern rugs do not tend to have very thick piles because the longer the pile, the more the definition of the pattern in the rug will suffer - it will be "blurrier" due to the long, thick pile. 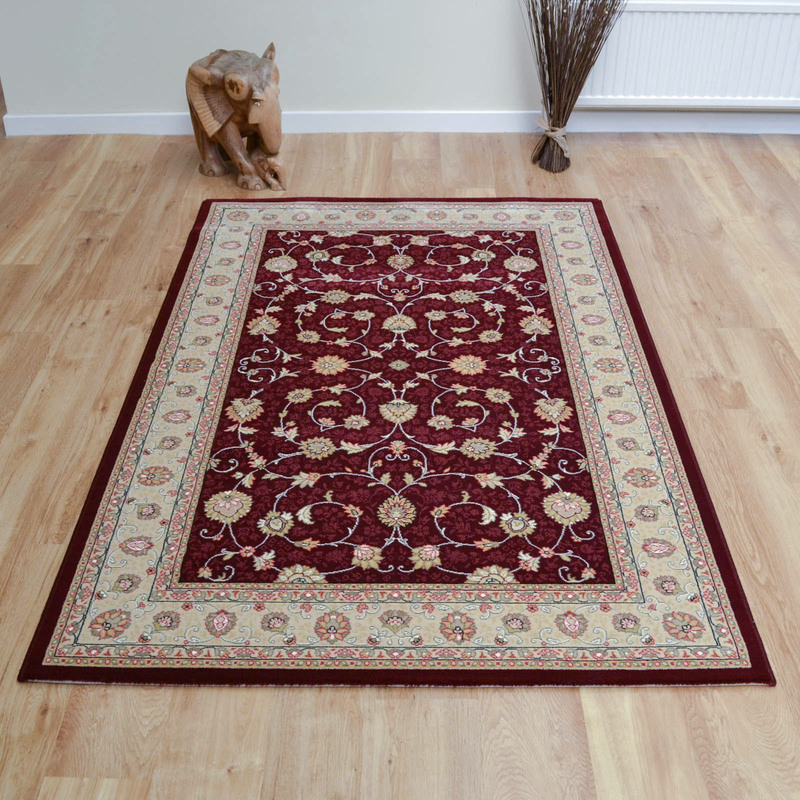 You could also purchase a good rug underlay, which will give any rug a more cushioned feel and will also help to protect the fibers in the rug. Color is subjective and dependent on the rest of your interior's color scheme, but one important factor to consider is how well the area you wish to place the rug in is lit. For example, if you have a dark hallway, placing a very dark runner rug may not be as good a choice as a more vibrant runner. The pattern in the darker runner may get lost in the poor lighting and your hallway may look even darker as a result. Our rugs are also photographed under well lit conditions.